✦ Keep up to date with fine art photographers in Maine through the VoxPhotographs blog. The site features remarkable photography, highlights outstanding exhibitions, and offers honest and articulate commentary on featured photographers' work. ✦ The Open Letters Monthly, an arts and literature review, recently published an interview with artist Charles Matson Lume, who explores the possibilities of light, reflection, and projection and makes great use of proofing paper, as in his beautiful installation do what the clouds do (for Charles Wright), which was the subject of a Minnesota Public Radio feature. Also worth reading: Lightsey Darst, "Sweet Tangles: Charles Matson Lume at the Science Museum". A video in which Grimmer discusses her site-specific installation Gongs.Wires.Bamboo during its exhibition at Irving Arts Center in 2010 is here. Earlier this month, as part of a collaborative poetry performance, Grimmer's sculpture was the aperture for the titular portion of Bill Mohr's poem "Barely Holding Distant Things Apart" at Beyond Baroque Literary/Arts Center in Venice, California. ✦ London's Hauser & Wirth is showing sculptor Phyllida Barlow in a debut exhibit, "Rig", through October 22. Be sure to visit the site to see the installation views and other images and then take five minutes to view this wonderful video from The Guardian. It is a real treat to hear Barlow talk about her work. ✭ A retrospective exhibition, "Carolee Schneemann: Within and Beyond the Premises", comprising paintings, drawings, photography, installation work, video projections, and writings of multidisciplinary artist is on view through December 30 at Henry Art Gallery at the University of Washington, Seattle. ✭ In the East Building of the National Gallery of Art, Washington, D.C., "Warhol: Headlines" continues through January 2, 2012. The show offers some 80 works, including A Boy for Meg (1962), belowm based primarily on tabloid news headlines, which Warhol mined in his paintings, drawings, prints, photography, and sculpture, as well as in film, video, and television. Collection of National Gallery of Art, Washington, D.C.
✭ The Elizabeth A. Sackler Center for Feminist Art, Brooklyn Museum, is presenting "Eva Hesse Spectres 1960" through January 8, 2012. Exhibited for the first time, the 19 oil paintings were made by Hesse at age 24 (she died of brain cancer in 1970, age 34). 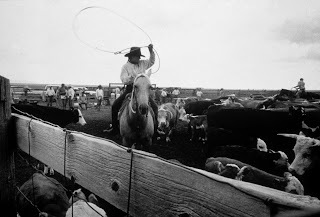 ✭ The New Mexico History Museum, in Santa Fe, is featuring work of photographer Ann Bromberg and author Sharon Niederman in "Ranch Women of New Mexico". 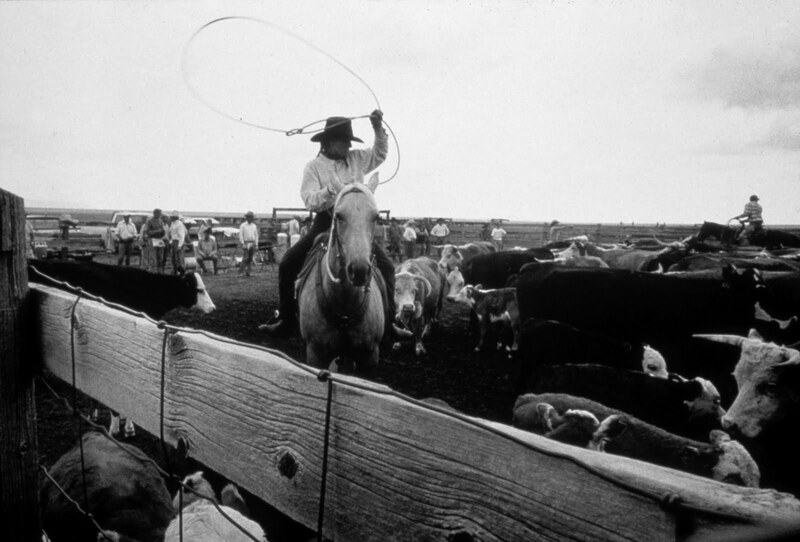 Bromberg's black-and-white images and Niederman's essays about the lives of "cow-girled" or women-owned ranches in the state are on view through October 30. The lives of almost two dozen women are documented for the small show, which is in conjunction with the traveling exhibition "Home Lands: How Women Made the West", which closed September 11. ✭ In Roswell, New Mexico, the Roswell Museum and Art Center continues through December 11 "Beyond O'Keeffe: Pioneering Women Artists of New Mexico". Among the 22 artists whose work, including paintings, sculpture, prints, pottery, and craft, is on display are the more well-known Gene Kloss, Frieda Lawrence, Beatrice Mandelman, and Maria Montoya Martinez. RMAC also is showing "Peter Rogers: A Painter's Progress". On view through January 24, 2012, the exhibit is the first major museum retrospective of Roger's work and includes a selection of his portraiture, landscape paintings, and drawings, with particular attention to the period 1949 to 2009. December 2012 marks the 150th anniversary of the mass hanging — the largest in United States history — of thirty-eight Dakota warriors in Mankato, Minnesota. Chances are excellent that this event is unknown to you, unless you have read deeply in Native American history. Certainly, it was never mentioned in any of my American history texts; the books from my elementary and high school years reduced much of such history to portrayals of Native peoples as "savages" and the federal government as the necessary club wielded to bring"the red men" into line. The 38 condemned Native Americans, along with 265 others, had been adjudged guilty for their part in the Dakota Conflict (also known as the Sioux Uprising), a war with the U.S. over harsh treatment of, all-too-frequent broken treaties with, and empty promises of land and food made to those whose rights were held in contempt at best. Begun in August 1862, the conflict resulted in the deaths of scores of Native Americans (Dakota and Ojibwe), settlers, and soldiers. A new documentary, Dakota 38 (Smooth Feather Productions, Washington, D.C.), directed by Silas Hagerty with Sarah Weston of the Fandreau Santee Sioux Tribe, seeks to relate the story of the Mankato 38 through Lakota spiritual leader Jim Miller, who tells of a vision he had in 2005 of having ridden on horseback 330 miles, beginning in Crow Creek, South Dakota, and stopping, finally, at the place where he saw his ancestors' hanging. In 2008, in a gesture of healing and reconciliation, he retraced the journey that ended at the hanging site in Mankato. The documentary's trailer is here. 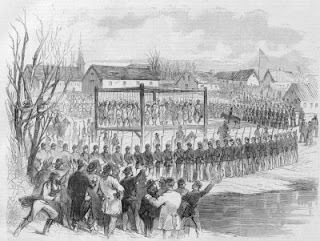 Mark Steil, "New Documentary Remembers Largest Mass Execution in U.S. History", MPRNews, December 23, 2010 (This article includes links to audio of the MPR program.) Also see "Pardon Sought for Dakota Warrior Hanged in Mankato", December 4, 2010. You'll find in the Library of Congress archives various documents about the Dakota Indian Wars of 1862-1865 and Lincoln papers detailing the events in Minnesota. The Archives and Special Collections at F&M College Library include a colored print of the "Execution of the Thirty-eight Sioux Indians" at Mankato. Internet Archive, Full Text of "History of the Sioux War and Massacres of 1862 and 1863"
In San Francisco, residents soon will be seeing collections of words intended to be "messages of inspiration, encouragement, and hope", according to The SF Mirrors Project, a public art project whose only purpose is to "spread random happiness and inspiration to complete strangers." Fully funded through Kickstarter by 130 supporters, the project, as conceived by Akin Bilgic, involves installing during the night around the city — on sides of buildings and bare walls, and in other public spaces — acrylic mirrors that bear a boldly lettered one-sentence message. As of mid-August, 100 mirrors, each approximately 1.5 feet wide by 3 feet high, had been purchased, and "feel good" messages have come in from project backers and others around the world (see a sampling here). Placement of the mirrors is expected to take place sometime this month. If you happen to be in San Francisco and come across a mirror, be sure to look. . . and smile. Of related interest: Swings: Bolivia, a public art project that also fully met its funding goal. What's your dream public art project? What's stopping you from making it happen? I invite you to share your visions in the comments section. in day's too cautious light. in one or other tongue. till given thought no more. This poem comprises my tweets, some rearranged, from last week's TweetSpeakPoetry Jam on Twitter, plus a few new lines or words to make transitions. Check here to read the poems resulting from the poetry party, which featured prompts from Anne M. Doe Overstreet's Delicate Machinery Suspended (T.S. Poetry Press, June 2011). Escape, Robert Lee Brewer's new limited-edition chapbook, talks a lot about love while rarely mentioning the word. Its 22 poems — culled from more than 100 that Brewer says he wrote as part of a project begun in 2010 — follow the release of his first chapbook Enter, which I reviewed here earlier this year. If Enter is about what happens when we enter into relationships, deliberately or otherwise, Escape shows us where running to and perhaps from particular kinds of relationships can lead us, and how deeply our relationship to love, when we love, can change us. Each poem tells a very short story, rendering love in one of its many permutations and, ultimately, tracing its arc entire. The mystery that love is, the way it ensnares, requires that you "just change everything, because / everything changes", finds expression in a mere seven lines in "murder & the love curse", the poem that opens the collection and sets the context for all the poems that follow and eventually come full circle. The desperate feeling love can instill — that "clawing at your feet... your nails... your hair... your face... your eyes... your naked lips... your breath... your beating heart... " — as in "we saw a fox last night", speaks to love's power both to control and make us crazy. Physical love is manifest in the delightful "the way that i can be", where lips might "wait / and wait" until "hands rescue / the whole operation" so that "everything mine brushes against her / everything...." (a little bit of good enjambment there). In "like welcome miracles", it's what makes "the space between us expand / and contract", leading to "a pact to celebrate": "our hands became rockets, our skin became / outer space, and then, lift off and yee-haw!" In such exuberance as love creates, "we saw the space station tonight. it flashed / brighter than a star on the horizon." i knew you'd already left when we kissed. only a letter that signals the end. a train whistle fades into evening. the stars, the moon! calling all that listens. become someone else when i'm not looking. she tells me she won't be calling again. 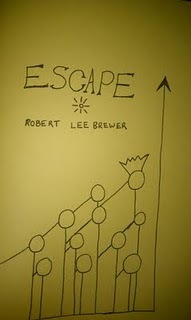 If you're interested in owning a copy of Escape, send Brewer an e-mail at robertleebrewer[at]gmail[dot]com; make sure to write I Need an Escape in the subject line. If the edition (of 101) is sold out, find someone who has a copy and borrow it. The poems have a lot more weight than may be apparent on first reading and their accessibility and honest but not world-weary take on love make them a pleasure to take up again and again. Brewer, senior content editor and poetry columnist for Writer's Digest and editor of the Writer's Digest's annually published resources Poet's Market and Writer's Market, has published poems in Barn Owl Review, Caper Literary Journal, Ghost Ocean Magazine, Hobble Creek Review, MiPOesias, OCHO, Otoliths, and The Smoking Poet. He posts regularly at his popular Poetic Asides blog, where you'll find interviews, writing advice, and poetry prompts, and at the My Name is Not Bob blog. He lives in Duluth, Georgia. of a state of wonder and serenity. Unusual (and perhaps unusable) words, poetry, portrait mash-ups, a marvelous biology resource, and artistic renderings of neuroscientific findings are among this week's finds. ✦ One of my favorite Websites is UbuWeb. This summer it added a section, Visual Poetry, which expands on and deepens its curated collection of visual and concrete poetry that spans a half-century and includes the work of hundreds of writers, including Dom Sylvester Houedard, Cia Rinne, Jaap Blonk, and scores of poets associated with Scottish writer and artist Ian Hamilton Finlay's visual poetry magazine Poor.Old.Tired.Horse. The section includes anthologies, ephemera, criticism, and journals. Ponder Nothing (fragment) from Jaap Blonk on Vimeo. Karl Kempton, "Visual Poetry: A Brief History of Ancestral Roots and Modern Traditions"
✦ I recently discovered the fascinating "Genetic Portraits" project by Quebec-based photographer and graphic designer Ulric Collette. You'll find the video embedded below and some of the project's mash-ups here, including side-by-side comparisons in which portraits of a mother and daughter, sisters, two brothers or cousins, and family and friends are manipulated into a single image without regard for age or any genetically defined characteristics. Collette used Photoshop clay to achieve the all-too-natural looking effects. Take a moment to view Collette's photo essay at Bcreative blog, which includes other equally eye-catching work. ✦ Launched two years under the sponsorship of publisher W.W. Norton & Company, Poems Out Loud features columns on poetry (including, for example, interviews and reviews) and audio and video recordings by or about well-known and award-winning poets, plus general poetry news and ephemera. An e-mail newsletter is available. ✦ An online project of The Biomimicry Institute, Ask Nature is a free, open source site intended to bring together the communities of biology and design to create and promote "conditions conducive to life." It functions as a kind of "home habitat" for culturing ideas shared by biologists, naturalists, designers, architects, engineers, chemists, and anyone interested in seeking and implementing sustainable solutions to challenging, multi-dimensional global problems. Its database of biological information is organized into a Biomimicry Taxonomy, defined as a list of challenges that organisms face and strategies that contain their prospective solutions. For example, understanding how nests of fungus-growing ants avoid flood damage has possible applications for underground home design, mushroom farming, and maintenance of a uniform microclimate. Visit the site tutorial to learn more about using or contributing to this outstanding resource. ✦ The Brain-Art Competition sponsored by The Neuro Bureau, a forum and collaborative initiative to support "open neuroscience", produces beautiful and informative visualizations of neuroscientific findings. This year's competition, held this past June, invited individual and team submissions for four categories: Best 3-D Brain Rendering, Best Representation of the Human Connectome, Best Abstract Brain Illustration, and Best Humorous Brain Illustration. As part of its award ceremony, the competition included a Best Hand-Drawing of the Brain event for which a doorprize was awarded. The gallery and slideshow for each category is worth your viewing time. Competition winners are listed here. ✦ Pressed for time and looking for your favorite writer? Try Author Links, organized alphabetically. ✦ Take a moment to check in at Lindsey Carr's The Unseen Bestiary, described as "an attempt to produce a set of work about Flora & Fauna the artist has never seen." Each artwork Carr creates is based on descriptive information submitted by the public. Go here to submit your own description of a beast you've never seen. Carr selects the descriptions she likes best and, in addition to documenting submissions online, she produces them in a series of paintings and etchings. My thanks to the Paris Review Daily blog for the link to Carr's bestiary. It's a wonderful project. ✦ More arts organizations should follow the lead of the Walker Art Center and create an Art on Call program of their own. The Walker's program, available 24/7, uses cell phone-based interactive voice response technology (landlines and computers also may be used for access) that allows anyone to call in to hear a talk about a particular artwork. An alternative to traditional audio tours, the program is free, easily expandable, and features not only "deep descriptions" of artwork (especially important for people who are blind or have low vision) but also comments by artists, curators, tour guides, and others about work on view, can generate lists and descriptions of current and upcoming exhibitions and events, and provides visitor information, as well as information about museum shopping and dining options. The program also keeps track of artworks you've accessed, expanding the playlist whenever you call in. ✦ Today's video spotlight is A Voodoo Memory (2008; in French with English subtitles), a fascinating 60:34-minute film by Irene Lichtenstein about Swiss-born Marianne Lehmann, who speaks about her life in Haiti and experience of vodou as religion, culture, and way of living. Lehmann, who settled in Haiti in 1957 after marrying a Haitian national, is a collector of vodou objects; the Lehmann Collection, with more than 3,000 objects, is one of the most important in the world. Currently, a team from the Smithsonian's Haiti Cultural Recovery Program is working to inventory, organize, and clean, conserve, and store the Haitian artifacts. ✭ In McLean, Virginia, McLean Project for the Arts is showing "Seth Rosenberg: The Cleveland Years" in the Emerson Gallery through November 5. 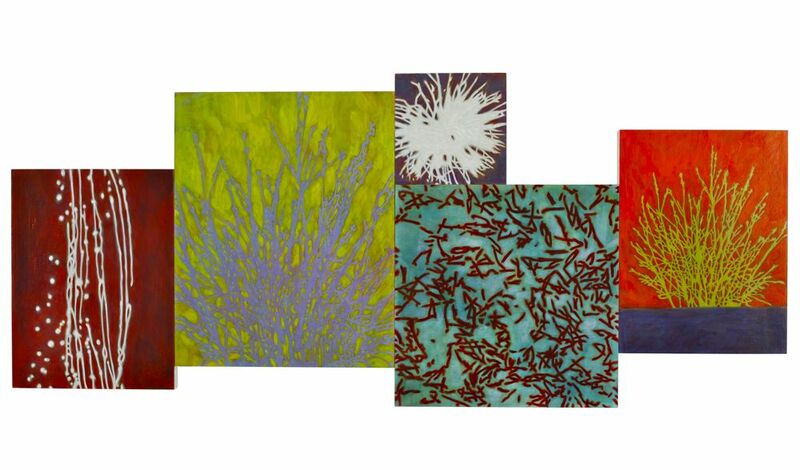 The exhibit includes both abstract paintings and prints by Rosenberg, formerly a gallerist (of District Fine Arts) in Washington, D.C., who now lives in Cleveland. Rosenberg's dense, layered, collage-like work is terrific. The show, organized by the Museum of Contemporary Art Cleveland, is the only current opportunity for those in the D.C. area to see Rosenberg's oils and prints. A panel discussion on Rosenberg's life and work, to be moderated by independent curator J.W. Mahoney, has been scheduled for October 12 at 7:00 p.m. 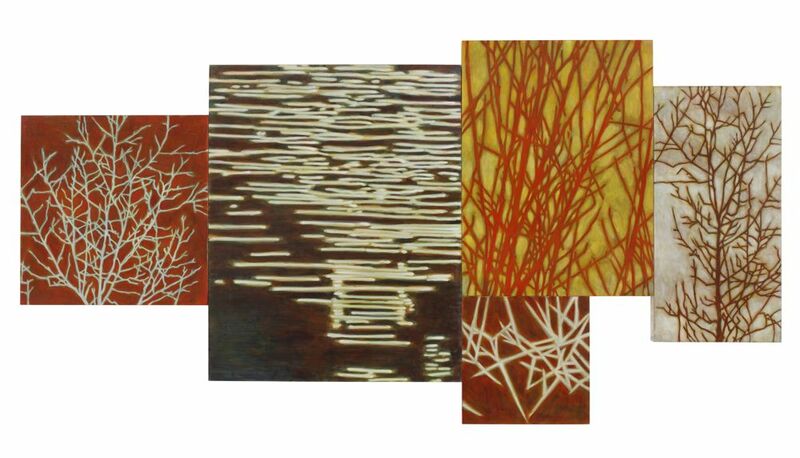 Simultaneously, MPA is presenting "Accidently on Purpose: Paintings by Carolyn Case" (in the Atrium Gallery) and "Encaustic Paintings by Georgia Nassikas" (in the Ramp Gallery). ✭ The Frances Lehman Loeb Art Center at Vassar College, Poughkeepsie, New York, opened "A Pioneering Collection: Master Drawings from the Crocker Art Museum" on September 16. 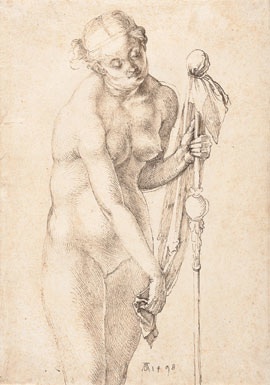 The exhibition of 57 rarely seen drawings from the late 15th Century through the 19th Century includes key works by Albrecht Durer, Jean-Honore Fragonard, and Peter Paul Rubens. It continues through December 11. ✭ Continuing through January 8, 2012, at the International Quilt Study Center & Museum at the University of Nebraska-Lincoln: "Elegant Geometry: American and British Mosaic Patchwork". The exhibition traces the development of mosaic quilting throughout the British Isles and America. 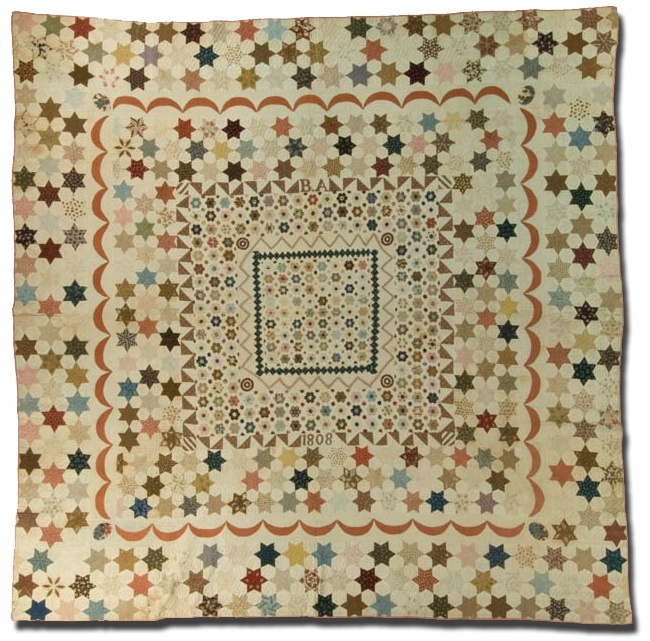 Showcasing a labor-intensive style of textile-making using thousands of pieces of fabric formed into precise shapes using templates and often featuring geometric patterns, the exhibit includes an 1844 signature quilt from a prominent Quaker family and a 1796 hexagonal mosaic quilt. A full-color catalogue accompanies the exhibition. 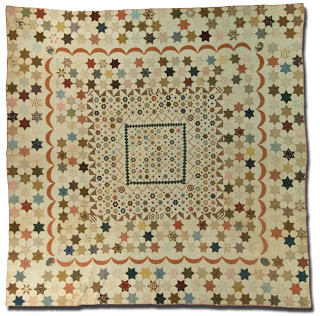 * According to information accompanying the image of the Medallion Quilt above, Abram started the quilt in 1799 and drafted it in four sizes. She completed it in 1808, the date appliqued on the fabric. Described as a "frame" style in the United Kingdom, the design format of central image surrounded by multiple borders predominated in the Atlantic area until the 1840s. ✭ At the Metal Museum, Memphis, Tennessee, "Master Metalsmith 2011: Fred Fenster" is on view through December 4. Included in the show are hollowware and serving pieces of pewter and sterling silver, such as functional table pieces (salt and pepper set, candlesticks), cups and pitchers, and vase forms. During Repair Days (September 30 - October 2), Fenster will give demonstrations and a slide lecture. 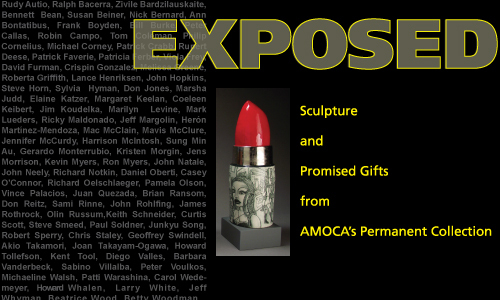 ✭ Pomona, California's American Museum of Ceramic Art is presenting through October 29 "Exposed: Sculpture and Promised Gifts from ACA's Permanent Collection". 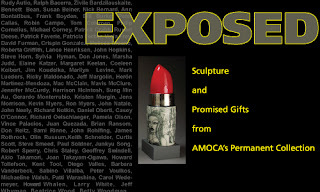 The exhibit of more than 60 artists' work marks the first showing of promised gifts represented in a number of important collections. The museum opens its next show, "Common Ground: Ceramics in Southern California 1945-1975", on November 12. Language is always available, poet Kay Ryan has said. She purposely did not say for what. On Tuesday evening this week, the "what" became bridge and connection. I was privileged to be offered several months ago by artist Judith HeartSong the use of her lovely gallery space in Glen Echo, Maryland, for a poetry reading. To prepare, I wrote copy for announcements, posted invitations by e-mail and event listings via social media sites, ordered copies of my collection Neruda's Memoirs: Poems, created a program, made and practiced the selections of poems for the reading, and purchased, on the day of the reading, ice and refreshments. I hoped for a good turnout. It's never possible to know in advance how an audience will respond to a reading, what effects, if any, one's words will have, and certainly not whether any books will be sold. When my collection came out at the end of January, I remember telling someone that if my words make a difference to even one person, then the book will exist for all the right reasons. Tuesday night, words worked . . . in many ways and for all the right reasons. The intimate space lit by candles set a mood sustained throughout the evening. I read nine poems from the collection, plus a selection of new work, with the aim of showing something of the breadth of subject matter and approach. My poems "Hazardous Duty: Ode to My Kitchen" and "See Me, Let Me, Be Me Barbie" brought the laughter I had hoped for and "Reading Goodnight Moon" the nods that every mother in the room could make. New work, such as "Consider the Pomegranate", a poem about the revolution in Egypt, received praise. But it was not until the conclusion of the half-hour of reading, when the floor opened up to responses and questions, that I knew that my words had created a bridge for everyone to share something of the experience of being in the same room. One person asked how I knew the different members of the group. Two of the attendees then discovered they had grown up in the same town in Pennsylvania. A listener intrigued by my comments about being part of several communities of poets online, especially the one that holds poetry jams on Twitter, wanted to know if she might share with her granddaughter who reads and writes poetry the links to those groups. Another, one of two other artists in attendance, got to see again for the first time in five years the owner of a gallery where he had exhibited his work. Someone else, also a painter, remarked on the visual imagery in my poems and how different it was to hear instead of read poems. Her comments sparked discussion of the creative process. A response to the cancer-related poems in the collection, which I mentioned in describing how some of the poems came to be written, led to wonderful talk about use of poetry, music, and visual art in therapy, with one attendee sharing her experience of using the arts with children who had been affected directly by the September 11 attacks. This was a diverse group of listeners of wide-ranging backgrounds and yet all were finding common ground to share by virtue of having come to hear me read. The evening proved special for me not only because of the deeply satisfying responses I received to my work (I even sold some copies of my book! ), the engaging, enriching discussion that followed the reading, or a subsequent invitation to read in another gallery space, but also because the audience included someone I was meeting in person for the first time. She was someone with whom I have had a deep online connection for three or four years; our connection first formed when her late husband began writing about his experience of cancer. He left behind a virtual community that exists today because of his wife, my friend L., who nurtures and sustains what is no less real for existing online. Meeting L. in person Tuesday night, feeling the warmth of her long hug, proved how what happens online can matter deeply to what's experienced offline. Beginning with L.'s husband's words, a bridge began to be constructed; it was completed with our meeting in Judith's gallery. I said at the top of this post that if my words make a difference to even one reader, then my book exists for all the right reasons. What I've since realized is how much of a difference my own words have made for me, because in sharing them — first virtually, then in print, and, now, aloud at the reading — they have brought me the gift of L.'s friendship and the fellowship of all the people in the gallery space Tuesday evening. Connections were made throughout that room that night; we all crossed our different bridges and, once on the other side, exchanged a sharing of words that created community. 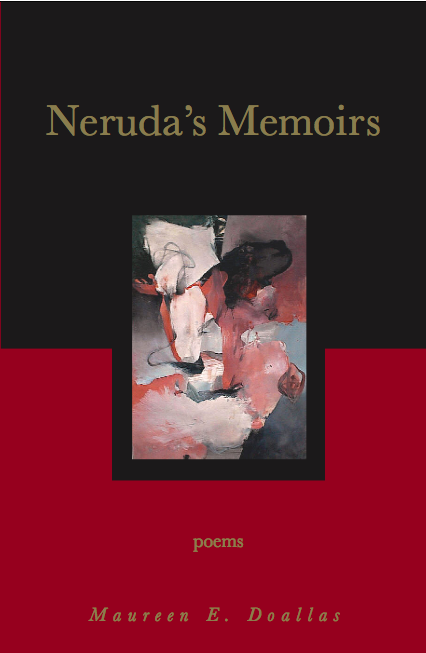 Neruda's Memoirs: Poems (T.S. Poetry Press, 2011) is available in print and in a Kindle edition. Please consider joining me and three other contributors to the charity anthology Oil & Water and Other Things That Don't Mix (LL Publications, 2010) — Nicky Wheeler-Nicholson Brown, Ginger McKnight-Chavers, and Laura G. Gschwandtner — on October 9 for "Make Your Support Matter: A Reading to Help the Gulf Region". Details here, here, or here. billowing forms the scale of buildings. Today's Wednesday Wonder is Janet Echelman, an imaginative, witty, and highly collaborative artist who makes gorgeous, large-scale fiber sculptures that are a blend of the traditional and the high-tech, uniquely engineered to maintain their shape while moving gracefully in their environments of wind, water, and sun. A Fulbright scholar who was rejected from all seven art schools to which she applied, Echelman is the epitome of the dreamer who, in pursuit of the "rediscovery of wonder", looks for inspiration wherever she is, applying unorthodox approaches to complex artistic conceptions. She is deservedly known internationally for her awesome public commissions, the creation of some of which she describes in the video below. Every piece of writing tries to go back to its roots. . .
knows what it wants and needs to be. . . .
That the stuff of a writing life is not found in the cheat sheets of Creative Writing for Dummies is one of the important take-aways from L.L. Barkat's new book Rumors of Water: Thoughts on Creativity & Writing. 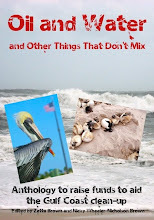 No doubt, checklists and pointers and lists of writing do's and don'ts have their uses but as Rumors of Water, a slender volume of 32 one- to four-page chapters, reveals again and again, life is the writer's own best how-to guide. In Barkat's hands, that guide yields meaning through model and example—of listening actively, observing closely, and telling stories in a voice uniquely one's own. Grounding her teaching in more than an assay of nuts and bolts, Barkat offers in this very personal book something for every writer, emerging or established, who is willing to get out of her own way to "let the writing be." Every one of her 32 chapters touches on something essential to writing well, or even at all: how to mine subject matter from experience, why cultivating community matters, where to find details to make your writing real, what networking can lead to, how to keep going when rejections come in, why engaging in play matters to the writer you want to become and are, how to use time to advantage. Barkat organizes her charmingly titled life-based chapters into a series of broad categories — Momentum, Voice, Habits, Structure, Publishing, Glitches, Time — and subtitles each of them so that no reader can miss the relationship to writing (for example, the chapter "Fame in the Foyer" is subtitled "Can You Find a Small Audience?"). She contains every point about writing within a story, moving effortlessly between that story and the lesson the story wants to impart. Some of Barkat's stories are about the unschooling of her two daughters Sonia and Sara; others are about making Aduki bean salad, drinking exotic teas, weeding (or not) a garden, composing songs while washing dishes outdoors on a red sled, catching fireflies, and, in a chapter I found especially moving, climbing to the top of a lighthouse. surprised to find your words. the magical transience of words and sharing them with the world. what it needs. Our job is not to panic, but to listen and respond. As is true of the best teachers and wisest mentors, Barket never condescends and always gently leads; she informs without having to be overt. What she's learning about and shares with us in tightly focused chapters is the way the writing life is rewarded by living, both by appreciation for what the mundane can reveal and by passion for where the imagination can lead if we're willing to open our eyes, look around, and allow ourselves time to "come to the edge of our memories and keep bringing them upward" until "the ready ones, the now stories" offer themselves in the creative moment. 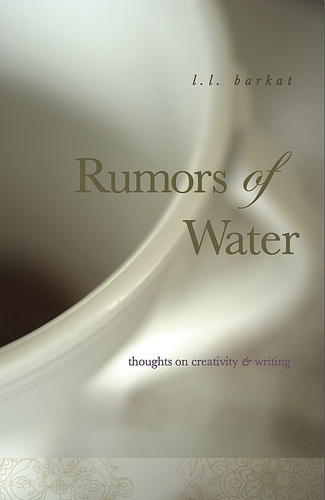 Read an Excerpt from Rumors of Water, which is available in print and Kindle and Nook editions. L.L. Barkat is the author of two spiritual memoirs, Stone Crossings: Finding Grace in Hard and Hidden Places (2008) and God In the Yard: Spiritual Practice for the Rest of Us (2010), and a collection of poetry, Inside Out (2009). Managing editor for The High Calling, Barkat also is a staff writer for International Arts Movement's Curator magazine and a small press publisher. Of related interest: "Passion and Dandelion Seed: A Monday Matters... You Do, Too, Interview" with L.L. Barkat, Parts 1 and 2, December 2009. I offer this poem for this week's Random Acts of Poetry, which takes as its prompt the word "rust". Anyone may participate in RAP. Read "Rust, Corrosion and Chrome: A Random Acts of Poetry Prompt" at TweetSpeakPoetry and then post your contribution on the T.S. Poetry Press Facebook Wall by Wednesday, September 21. If you're a photographer and want to participate in the related PhotoPlay challenge, read "Photography and Poetry as Rust" at The High Calling and follow the directions for posting your image(s) to the High Calling Focus Flickr Group. PhotoPlay's deadline is the same, September 21. All submissions to RAP and PhotoPlay will be listed at The High Calling on Friday, September 23. I always think of the way I work as similar to making a soup. the soup becomes absolutely essentialized. That's what I really think the process is about. And that takes some time and patience. In today's edition of Saturday Sharing, you'll learn about a mobile print shop dubbed the "Sweetheart of the Road", the beautifully visual language of the Noun Project, the IndieGoGo platform for fundraising, and a selection of music-related Websites, including the marvelous Hymnary that boasts more than 1 million published hymns, scores, and media files. ✦ Fans of letterpress will want to catch the "Sweetheart of the Road" when it passes through town. A retrofitted 1982 Chevy Step Van, the truck functions as a print shop on wheels and is traveling the countryside, and even going into Canada, to present Moveable Type workshops and other events in schools, city parks, libraries, community centers, art galleries, street fairs, farms and farmers markets, universities, backyards, and anywhere a vehicle may go. Miles traveled and places visited are documented online. ✦ Poets Ish Klein and G. Carl Purcell bring you talks about poetry, science, stories, games, and more via their No Slander Podcast. ✦ If you enjoy reading poetry online, check out Augury Books, the online publication of the New York City-based independent press of the same name. The editors offer work by both emerging and established writers. ✦ Looking for a place other than Kickstarter to get your ideas funded? Try the online IndieGoGo. Founded in 2008 and based in the United States, IndieGoGo offers anyone with an idea the platform and integrated social media tools needed to create a fundraising campaign. To date, the site has helped launch more than 35,000 campaigns by filmmakers, writers, photographers, rock bands, community activists, environmentalists, engineers, and many others in more than 200 countries. All campaigns are contribution-based. ✦ The AllMusic Website covers all genres and styles of music, and has become one of the most comprehensive music-reference sources online. Selected "Classical", for example, and you'll find links for avant-garde, chamber, orchestral, vocal, show, and band music, as well as film, ballet, keyboard, musicals, concertos, opera, and symphony. Content ranges from biographies and reviews, to top composers, to descriptive information about instrumentation, to facts or related essays about specific albums, artists, styles, themes, and tracks. You can even explore music by continent. Some other music sites worth exploring: Smithsonian Folkways (be sure to check out the interactive features and classroom resources), BBC Radio, Dusty Groove America, Pitchfork, the Internet Archive's Live Music Archive, UbuWeb's recently added Electronic Music Resources (focused primarily on methods and techniques, with emphasis on historical and rare material) and History of Electronic/Electroacoustic Music, 1937-2001, NetHymnal (with more than 10,000 hymns and author bios), and Hymnary, which boasts more than 1 million published hymns, scores, and media files and may be searched by text name, tune name, person (author, composer, etc. ), hymnal number, topic, or scripture (see the tutorial here). The site also has an iPad app, a global hymnody map, a search graph to map the incidence of words or phrases in full hymn texts, and an interactive melody search feature that allows you to enter notes on virtual piano keys to locate the tune in your memory. Thanks to a National Endowment for the Humanities grant, Hymnary also houses the Dictionary of North American Hymnology. Noah Charney, "100th Anniversary of the Mona List Theft", ArtInfo, August 19, 2011 (Art historian Charney has published a new book, The Thefts of the Mona Lisa: On Stealing the World's Most Famous Painting (ARCA Publications).) Also see Chaney's excellent ArtInfo series "Meeting Mona Lisa", Parts I, II, and III. ✦ Ann Martin, who showcases the finest paper art at her wonderful All Things Paper blog recently visited Vermont's Shelburne Museum to see its "Paperwork in 3D" exhibit and shared images of some of the great work there. (See Part 1 and Part 2.) In her second feature on the exhibit, Ann introduced readers to Emma Hardy's installation Packages (2010) and included a video (see below) of the marvelous and moving paper-and-wood sculptures. Thank you, Ann! Hardy, who lives in Colorado, has received many grants and commissions and her The Mad Hatter's Tea Party has been exhibited nationally. 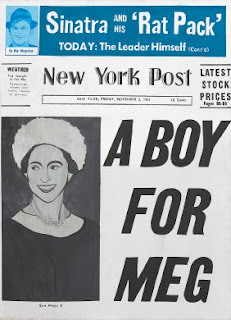 Although her media are wide-ranging, Hardy indicates that her preferred medium is paper tape. The museum show is on view through October 30. ✭ I last wrote about Colorado-based artist Trine Bumiller in this post. 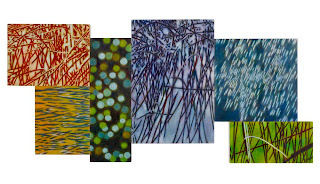 Currently, Bumiller is showing, through October 8, at New York City's Kathryn Markel Fine Arts, where her new series, "Slipstream", comprises a dozen sets of beautifully conceived multi-paneled paintings in which abstract impressions of nature — trees, water, stones, stars — evoke a continually changing landscape of patterns also meant to suggest the patterns and rhythms of our own lives. She gives them such names as Inchoate, Center of Gravity, Downshift, and Forget Me Not. Oil on Panel, 5 Parts, 36" x 84"
The paintings show off to beautiful effect Bumiller's glazing technique in which she applies daily a layer of paint that then is allowed a day to dry before the time-intensive process is repeated; each work may have as many as 50 transparent layers, the colors building up over to give the work form and depth. 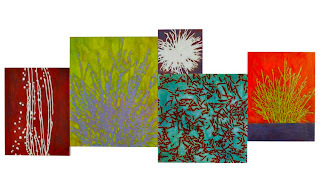 Works in the series range from two panels to nine. Of her series, Bumiller says, "Our lives are real but our memories are shaped by who we are, what we think and what we experience. The landscape stays the same, but doesn't, based on natural disasters, environmental issues, human interactive, growth and decay. . . My paintings are about finding meaning beyond the visible world." The show at Kathryn Markel is Bumiller's third solo exhibition with the gallery. Bumiller regularly exhibits in Chicago and in Colorado, as well as in New York City. Oil on Canvas, 5 Parts, 36" x 72"
Oil on Panel, 6 Parts, 36" x 84"
✭ Santa Fe's Chiaroscuro Contemporary Art is showing through October 15 "John Geldersma - Black Wings". Geldersma, a widely exhibited sculptor, works with wood, including aspen, pecan, pine, and sycamore, which he carves into totems (also known as "Spirit Poles"), cairns, tablets, and other forms and then ornaments with geometrics in sign paint. His seemingly minimal pieces have the feel of Native American and African art that evokes both the spiritual and the ritualistic. It is quite commanding in its own way, as you'll note if you visit his site. ✭ Washington, D.C.'s American University Museum at the Katzen is presenting "Re-viewing Documentary: The Photographic Life of Louise Rosskam" through December 14. 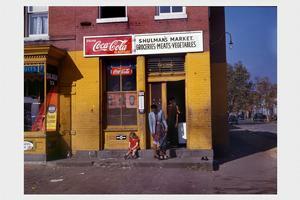 The retrospective highlights Rosskam's photographs of D.C.'s southwest neighborhoods and images of Puerto Rico. A catalogue accompanies the show. N and Union Street, S.W., Washington, D.C.
Also on exhibit through December 14: "Wayne Barrar: An Expanding Subterra" (photography); "Gifts of Duncan Phillips", which include paintings by Milton Avery and John Marin (this show is in conjunction with "90 Years of New" at The Phillips Collection); a sculpture-sound installation, "Seismic Dream" by sculptor Pattie Porter Firestone and composer Barbara Buchanan; "Bruce Conner: An Anonymous Memorial", commemorating 9/11; and "Inner Piece: Works from the Collection of Heather and Tony Podesta", featuring multiple works by Pilar Albarracin, Clare Langan, Laurel Nakadate, Julie Roberts, and Saskia Olde Wolbers. ✭ Also in Santa Fe, the Jane Sauer Gallery, which I try to visit any time I get to New Mexico, just opened "Chuck Savoie: Pattern and Light", which will be on view through October 11. Renowned for his Venetian cup-making, Savoie makes his exquisite glass work from scratch, using raw material such as sand and relying on modified 17th Century Venetian and bohemian formulas. Online: "Green the color and the cause"
The Textile Museum's exhibit "green the color and the cause" closed September 11 but you can still access the site for the show here, and browse by theme (color, nature, global choices, interconnectedness, repurposing, sustainability, adaptation) or artists, of which there are 36, including Alabama Chanin, the late James Koehler, and Carol LeBaron. Also see Susan Stamberg's "Celebrating Green: As Color, As Concept, As Cause" at NPR.